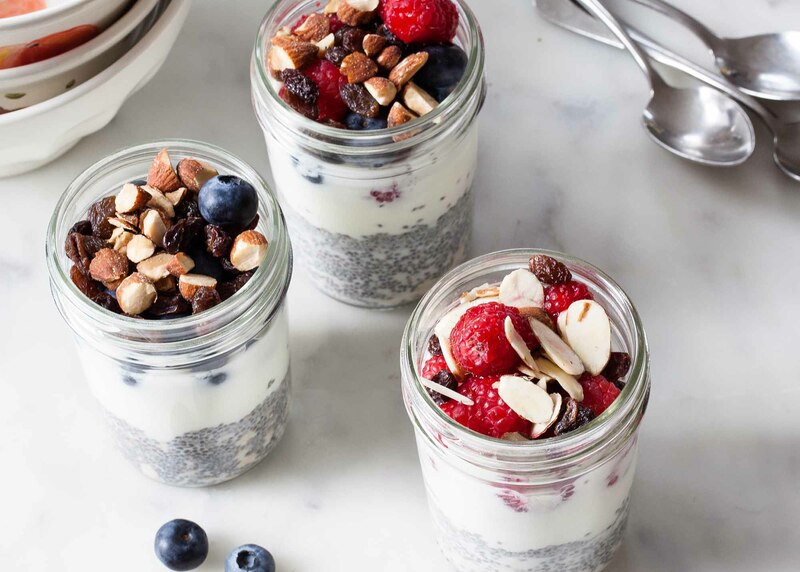 Fill 1 16-ounce wide mouth canning jar with oats, berries, coconut chips, almonds, and chia seeds. Add 1 cup water; stir to combine. Microwave on HIGH for 2 minutes uncovered, stirring after 30-second intervals. Place lid on the jar and let sit for 3 minutes or until thickened. Uncover, stir to combine ingredients and let cool an additional 3-4 minutes. Fill the jar the night before, so all you have to do in the morning is add water and heat. Watch the oatmeal closely as it heats—if it starts to overflow, remove it from the microwave, give it a quick stir and continue heating. Feel free to mix in your own combination of freeze-dried fruits, nuts, and seeds.